At New Age Global Builders we can save your home from the destruction that water brings by adding or replacing rain gutters on your home. 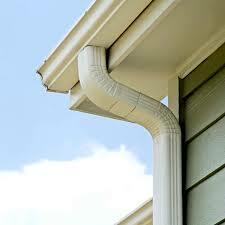 We can install gutters that will never been seen, or gutters with a splash of color to add to the decor of your home. From simple rain gutters to gutters that are leaf and animal resistant New Age Global Builders has everything you need. Call now and get your free estimate, we are waiting at your request to provide you with any information you may need. In addition to residential and home general contracting services, we offer office buildouts, office space renovations, and office building contractors. We are licensed and insured NYC retail contractors, NYC commercial contractors and NYC hotel contractors. Get low maintenance gutters for your home , ever lasting gutters with protective coating that prevents leafs and animals from getting inside it and blocking the flow of water, you would be surprise at the amount of money you would be saving a year at the same time it extends your roof life time by decreasing the amount of water exposure on the roof, you won’t be disappointed at the results this investment would bring to you. Keep us bookmarked because we provide services such as roofers in NY and other services for your home or business.